Entrance To The Military Dockyard Of Ferrol, Galicia, Spain. Ferrol Has Been A Major Naval Shipbuilding Center For Most Of Its History. Lizenzfreie Fotos, Bilder Und Stock Fotografie. Image 111811278. 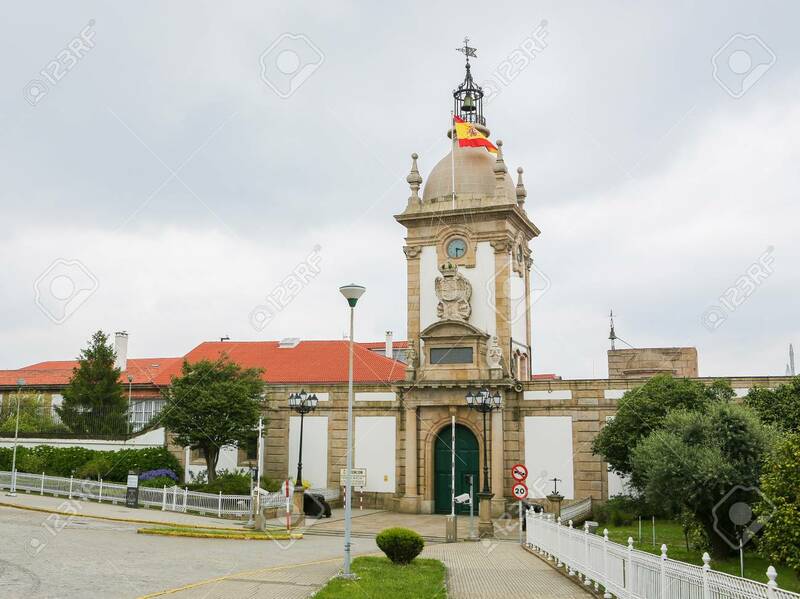 Standard-Bild - Entrance to the military dockyard of Ferrol, Galicia, Spain. Ferrol has been a major naval shipbuilding center for most of its history. Entrance to the military dockyard of Ferrol, Galicia, Spain. Ferrol has been a major naval shipbuilding center for most of its history.